The Rosen XR1020 (X-10) overhead DVD video solution’s are design to provide you with countless hours or rear seat entertainment for all your occupant’s, the system features include on board DVD/CD/MP3 player, Wireless headphones, Built in FMT as well as built in video games and USB & HDMI inputs for optional Video devices. 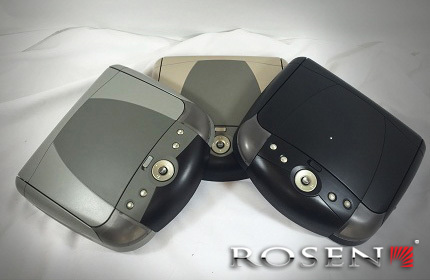 The Rosen X10 system is available in 3 distinct color options Neutral Tan, Gray & Matte Black for an optimum interior match to your specific vehicle interior color. 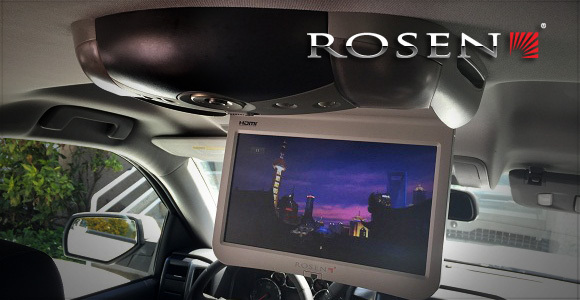 Rosen X10 are engineered with Safety in mind and meet or exceed all the Federal Motor Vehicle Safety Standards to insure the safety for all occupants. 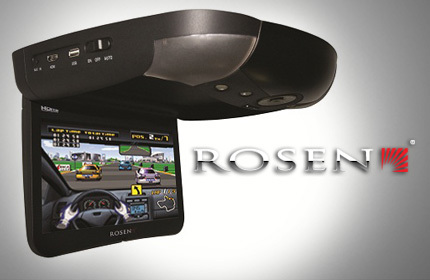 Rosen XR1020 Overhead Systems are equipped with a 10.2” Hi-Def LCD screen (720 x 480), Inputs for USB/HDMI, Built in DVD/MP3/CD player, 2-CH (A/B) wireless IR transmitter, 3.5 A/V AUX input. All Rosen XR1020 Overhead systems come with a factory match warranty when purchased with your new vehicle. 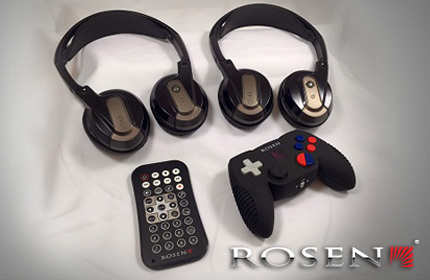 The Rosen XR1020 system has 50 built in video games for endless hours of entertainment. Included in each Rosen X-10 system are. 2 – Dual Channel wireless headphones. Built in wireless FMT for wireless audio connection to factory Radio.